DARTMOUTH, Mass. — Southcoast Health today announced that its new Urgent Care center will open at 435 State Road in Dartmouth on Tuesday, January 31. The 4,200 square-foot Southcoast Health Urgent Care center is a community resource for immediate, non-emergency care. It is staffed by a specialized team of physicians, mid-level providers and a number of ancillary and support staff, and offers a full array of services including on-site radiology and laboratory services, basic orthopedics, gynecologic and minor surgical treatments, and medications. The Urgent Care center will be open seven days a week – Monday through Friday from 8 a.m. to 8 p.m. and Saturday and Sunday from 9 a.m. to 5 p.m. Common reasons for visiting the Urgent Care include: strains, sprains and fractures, infections, animal bites, skin conditions, burns, lacerations, contusions, cold or flu symptoms, some immunizations and vaccinations, and school, work and sports physicals. “This Urgent Care center is one further example of Southcoast Health’s commitment to not only treating you like you’re our only patient, but treating you like our most important consumer. 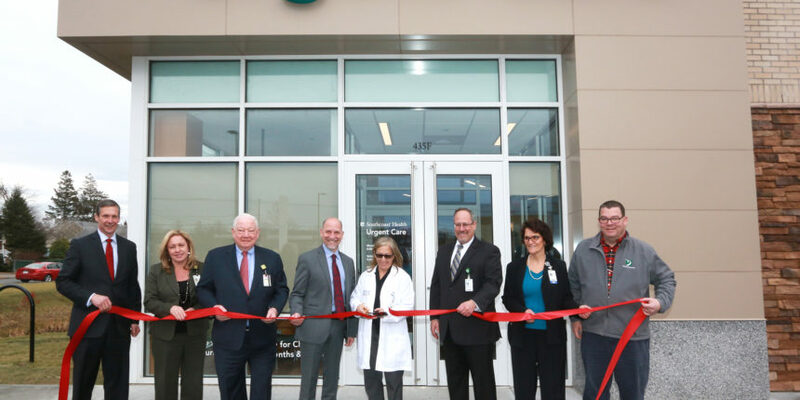 The purpose of these centers is to provide you and your family with excellent clinical care that is convenient to you and your busy life,” said Jason M. Rua, Chair of the Board of Trustees of Southcoast Health Systems and Southcoast Hospitals Group. Rua, a Dartmouth resident, added that he and his family will be using the new Urgent Care center for all their non-emergency healthcare needs. The Southcoast Health Urgent Care center is open to the public, treating both adults and children (6 months of age and older). Walk-ins are welcome, and no appointment is needed. Patients are not required to have a Southcoast Health primary care physician, and the patient’s primary care physician is electronically alerted to the visit in order to achieve the best continuity of care. For added convenience, patients seeking services at Southcoast Health Urgent Care centers can now wait in the comfort of their own home until it’s their turn to be seen with its new online check-in system. Visitors to www.southcoast.org/urgentcare can find the closest center, its current wait time and click “Save My Spot” to get in line electronically. The new facility brings to Dartmouth what have been exceptionally successful Urgent Care centers at 208 Mill Road in Fairhaven and 2421 Cranberry Highway in Wareham Crossing. “One of the essential reasons our first two Southcoast Urgent Care centers in Fairhaven and Wareham quickly became trusted healthcare options in their communities is that we have a very high quality of medical providers and staff and we hold the highest standards of healthcare. I expect that the Urgent Care center in Dartmouth will become the clinic that the residents of this region will turn to when they need immediate, reliable care for themselves and their loved ones,” said Dr. Pamela Spatz, Southcoast Health Urgent Care Medical Director. For more information, visit www.southcoast.org/urgentcare.